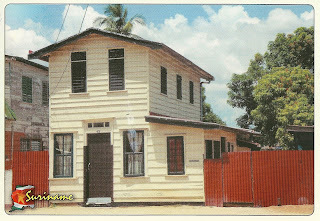 South America-Suriname-Paramaribo This is quite typical of some of the buildings that were in and around Paramaribo. There was not a great selection of postcards, so could not see any of the old buildings made of wood, that feature in the World Heritage Site. Paramaribo is a city that you can easily see in one full day. 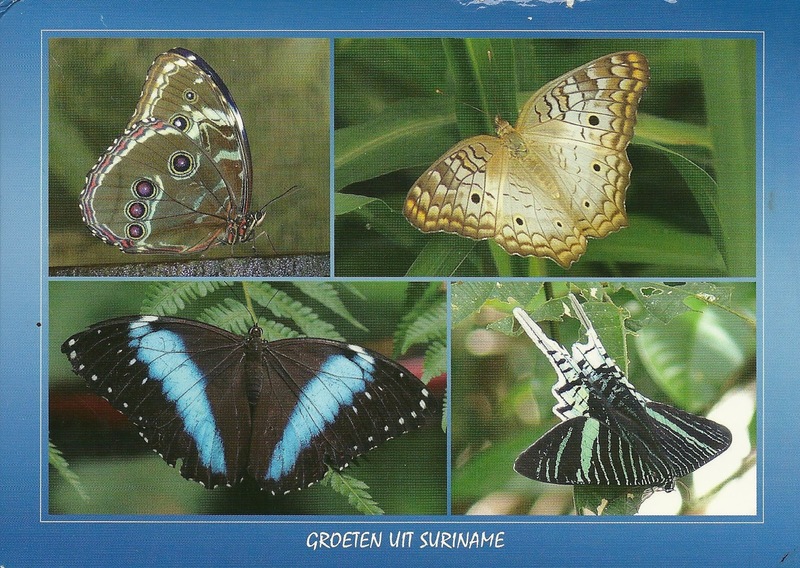 I purchased these stamps in advance from the philatelic agency based in Guernsey that supplies Suriname stamps. The reason is that I had been told that often the Post office has a very poor selection of stamps. The Post office closes early at 2pm I think so I had to make a mad dash on the way home to the airport to mail these postcards. There was a small philatelic shop attached to the post office that had a selection of stamps. I only went briefly in as I was in a rush, but they did have some new issues for sale. South America-Suriname-Paramaribo I spend most of my time in Suriname down south in the Amazon area. So I felt I needed a postcard to reflect some of the nature that I had seen. I did in fact see many butterflies , so a good memory of down there. There was no Post offices down where I stayed , it was just pure jungle and rivers. The only way to get there was by small plane. So this card was posted in Paramaribo on my way to the airport flying home. South America-French Guiana-Kourou The European Space centre . Plenty of rockets and the museum is good. Still not quite the same when only use for payloads and no people from here into space. 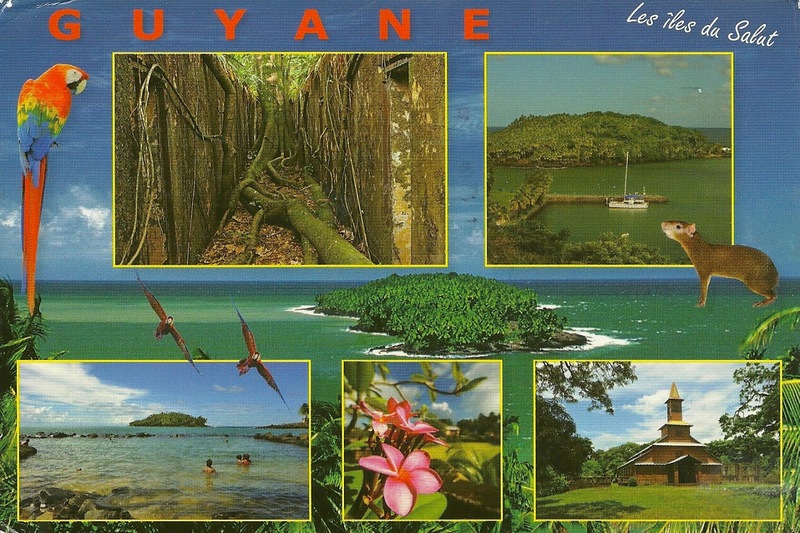 It is a pity , that the cancellation only says France and not French Guiana, but this is what you get. Stamps were from a Miniature sheet in relation to the First World War. South America-French Guiana-Iles du Salut Quite a lot to see here besides the gaol. Loads of monkeys and birds. 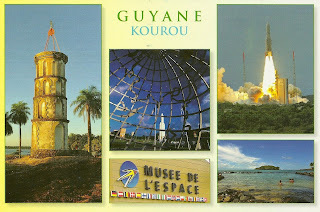 A nice day trip from Kourou. All the above cards were posted at the Post office in Kourou. A large modern office .